This week, Attorney General Sean Reyes joined a 20-state coalition lawsuit against the federal government, challenging the constitutionality of the Affordable Care Act (ACA), also known as Obamacare. The lawsuit asserts that since the tax reform passed by Congress eliminated the tax penalty of the ACA’s individual mandate, the ACA is now unlawful. The Supreme Court construed the penalty as a tax, even though Congress had repeatedly denied that it was a tax and upheld the mandate as a permissible exercise of the taxing power. The Court and the DOJ under President Obama’s Administration repeatedly emphasized that the mandate was not severable from the rest of the ACA – that is, if the mandate was unconstitutional, the entire law must go. 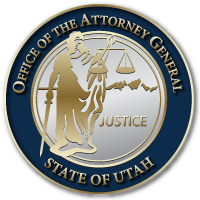 Joining Utah in the coalition, led by Texas Attorney General Ken Paxton and Wisconsin Attorney General Brad Schimel, are Alabama, Arkansas, Arizona, Florida, Georgia, Indiana, Kansas, Louisiana, Maine, Mississippi, Missouri, Nebraska, North Dakota, South Carolina, South Dakota, Tennessee, and West Virginia. NOTE: You can find a copy of the states’ complaint here. This entry was posted in Archived Posts, Recent Posts and last updated on December 14, 2018 .